Camel Creek Adventure Park are delighted to announce their chosen charity of the year, supporting another local charity for 2018. They’ve chosen Penhaligon’s Friends who provide support for bereaved children, young people , parents and carers. The charity will be joining them on selected dates throughout the year to fundraise. Camel Creek will fundraise throughout 2018 for Penhaligon’s Friends after supporting Cornwall Air Ambulance in 2017. The Charity based in Cornwall provide bereavement support across the county and rely on donations from the local community. The small charity has over 50 dedicated volunteers who provide support to children, young people, parents and carers. They offer young people the chance to meet others and share their experiences, as well as resources for parents and carers. The charity also dedicates time to training childcare professionals, so they can offer support for young families across the county. The team at Camel Creek are excited for the year ahead and look forward to fundraising for the Cornish charity through events, collection tins and more! Learn more about Penhaligon’s Friends here. 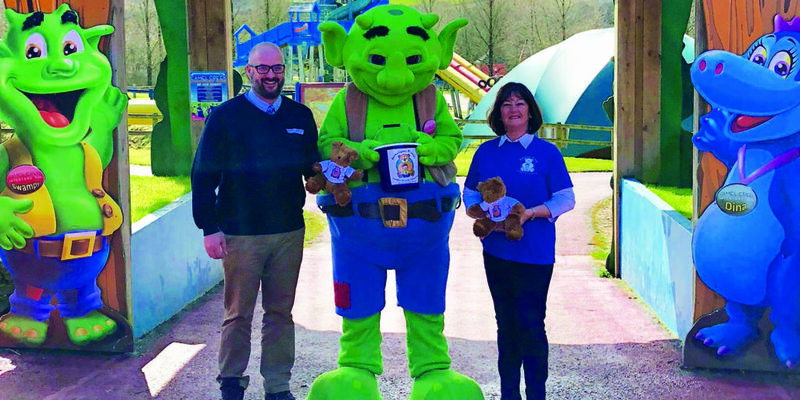 "The team at Camel Creek are excited for the year ahead and look forward to fundraising for the Cornish charity through events, collection tins and more! "